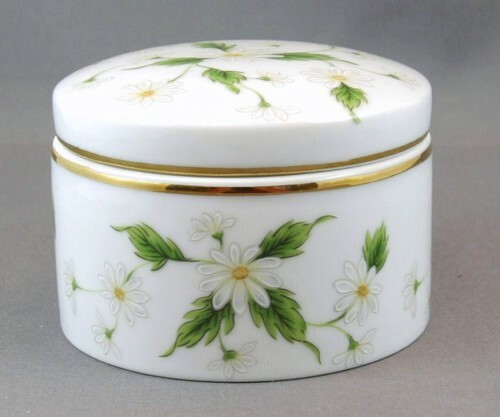 Lefton lidded jar in a daisy pattern. The red Lefton sticker still attached which dates it to about 1975. It measures about 2 1/4 inches high by 3 1/4 inches wide. Brass lidded box with enamel rooster decoration.